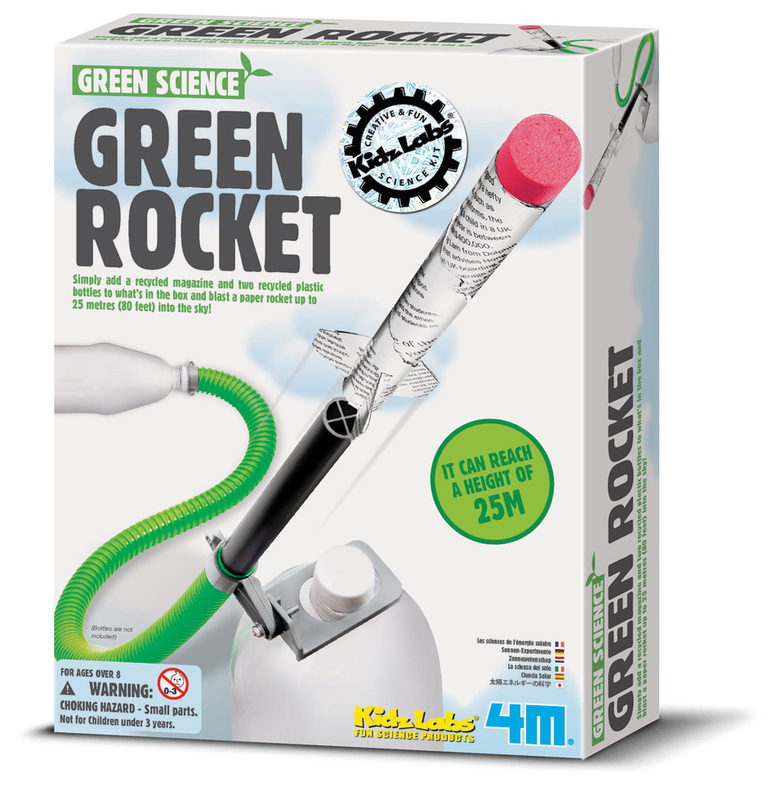 The green rocket kit allows you to blast a rocket up to 25 metres into the air. 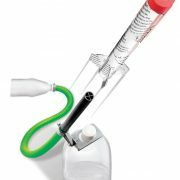 Add a recycled magazine & two recycled plastic bottles to what’s already in the box. 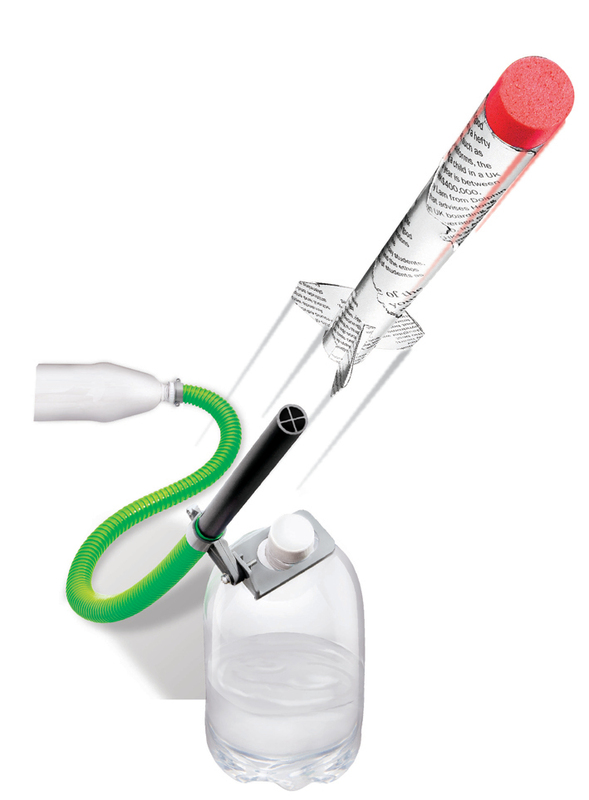 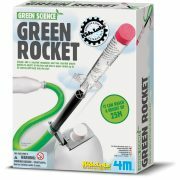 The 4M Green Science Green Rocket kit allows you to blast a rocket up to 25 metres into the air. 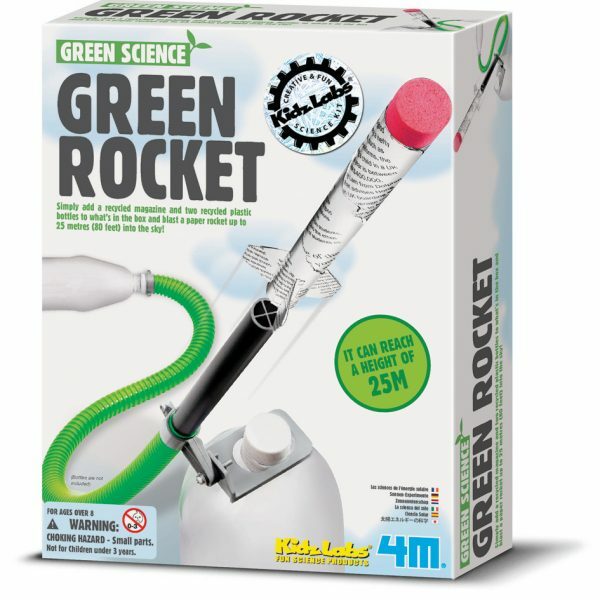 Recycle two spare plastic bottles and a magazine to make a high powered green rocket. 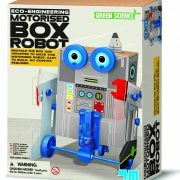 Add a recycled magazine & two recycled plastic bottles to what’s already in the box. 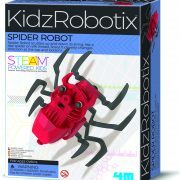 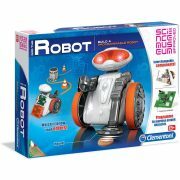 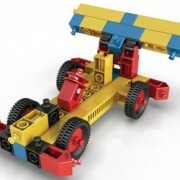 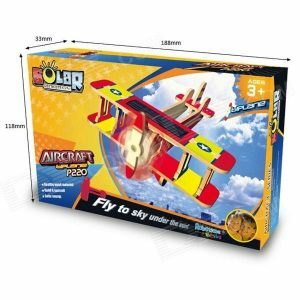 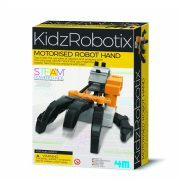 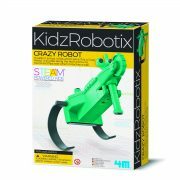 If you like these toys, have a look at Switched on Kids 4M range. 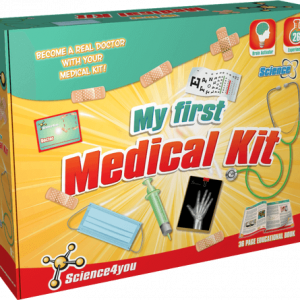 Nuts, bolts, washer and split washer screws, double-sided adhesive tape, bottle connector halves, stand arm, launch tube, pipe clamp halves, flexible pipe, foam rocket heads, fin templates, rocket body sheets and instructions. 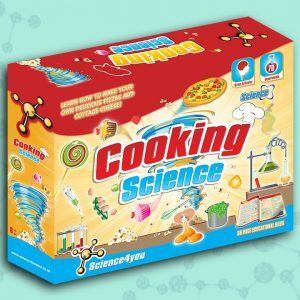 Age guide: from 8 years.